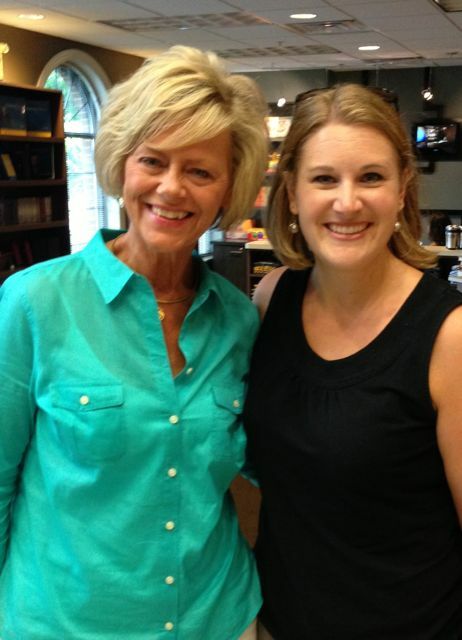 A week ago today we were as nervous as we could possibly be because we were about to meet Dave Ramsey. We had the morning to kill since he doesn’t go on the air until 1:00 Central time so we swam, packed our car, and then walked around Nashville a little bit. 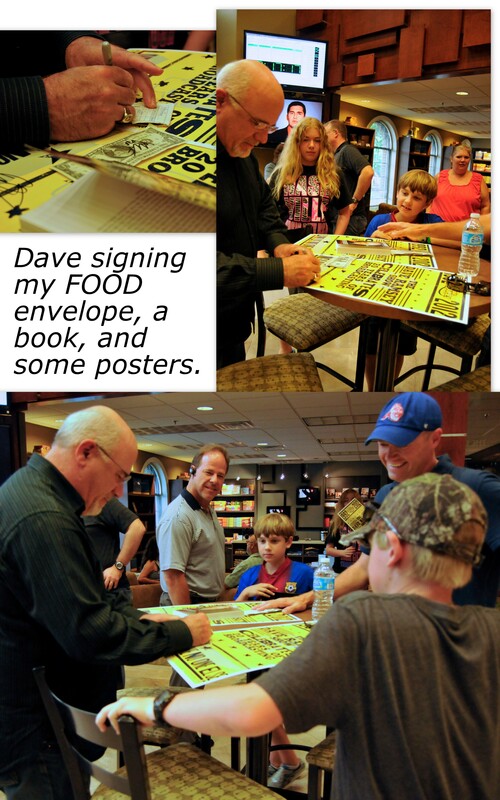 Here’s the quick post I wrote while we were traveling about meeting Dave. 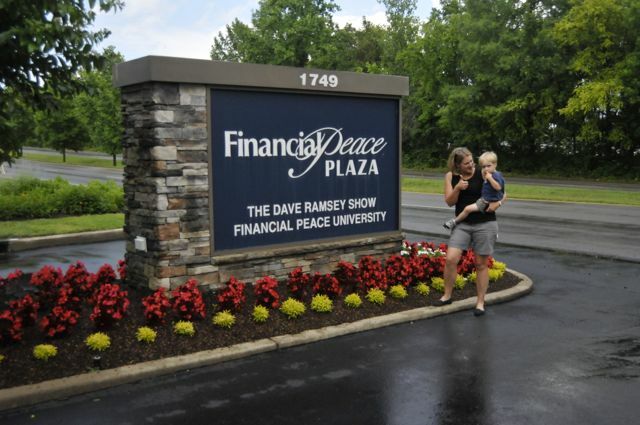 We ate lunch just before traveling to Brentwood and then pulled into the Financial Peace Plaza parking lot. The boys who were riding with me asked me find his show on the radio so we could hear him live for the first time ever. We were excited to be hearing his voice as he was speaking… we’ve listened to his podcasts for years, the benefit of that is that they’re commercial free. 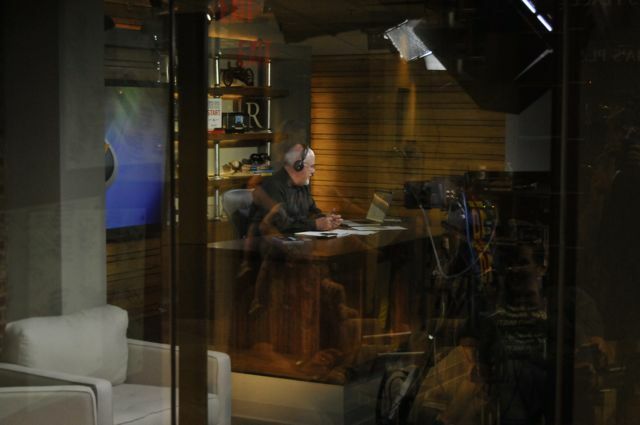 However, today we were happy for those commercial breaks because those were going to be the key to meeting Dave. Sure enough, off to our left was a couple wearing headsets, surrounded by their kids, telling Dave their story. 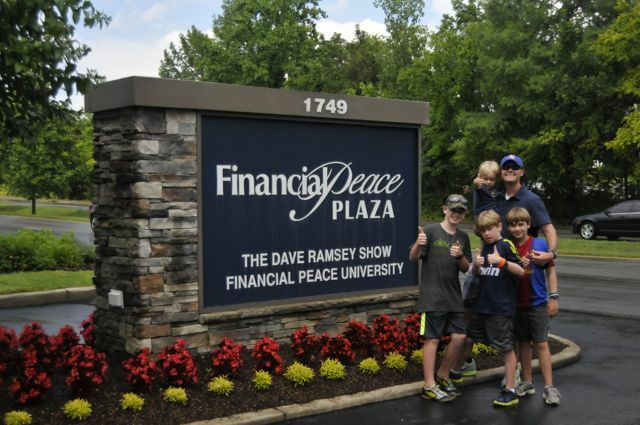 They were looking across the lobby to our right, through glass, and we knew that behind that glass was the person we were there to meet: Dave Ramsey. I am really proud of the boys, especially Parker, for keeping so quiet during the call. As soon as the family yelled, “WE’RE DEBT FREE! 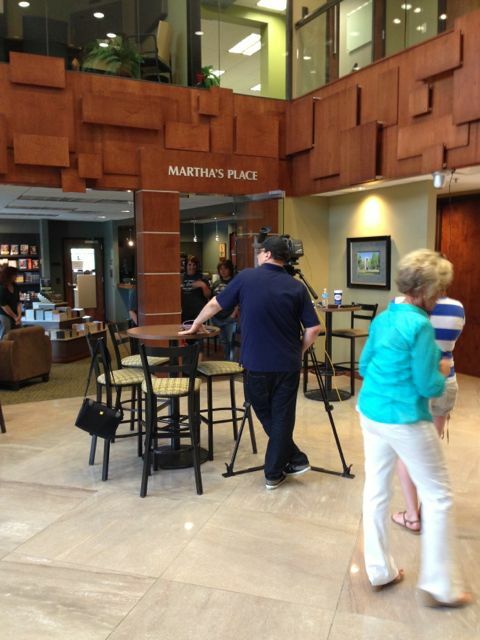 !” and the other guests in the lobby screamed and clapped, Dave went on to a caller. Immediately Parker said, “That’s Dave Ramsey!” He recognized his voice immediately, which doesn’t surprise me, as he’s been listening to him since before birth. I remember vividly sitting in the hospital in Germany after he was born, listening to episodes of Dave’s radio show. 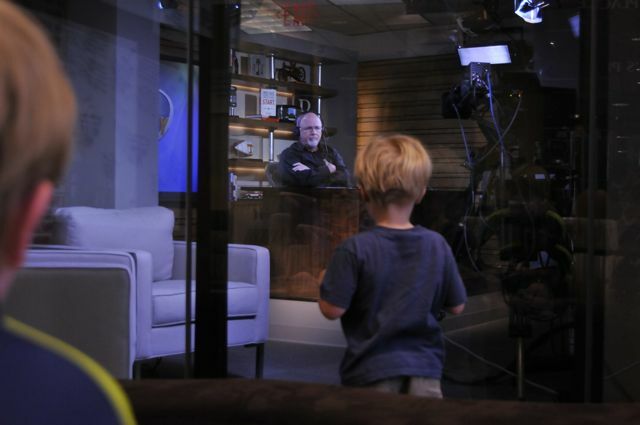 Parker has many hours of the Dave Ramsey Show under his belt! 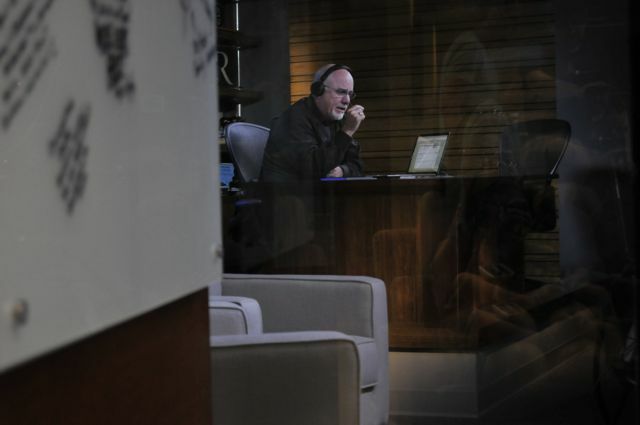 After we moved into the lobby area we were able to look into the glass at Dave as he talked to callers. 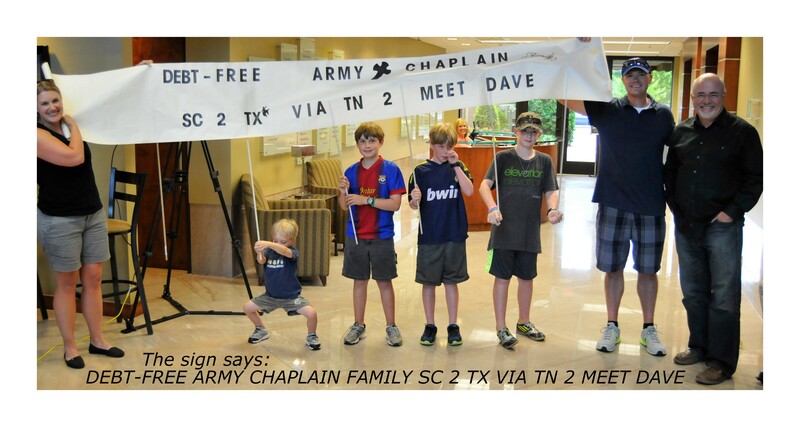 While Dave was chatting I asked Martha (Director of First Impressions) when and where we should hold our sign. When he came out for his next commercial break we got ready. A word about the sign: We are not professional sign-makers and we did this in an empty house with only a few things from Hobby Lobby and the floor. It wasn’t a beautiful sign but it was fun to make and fun to share. He met with the family who had just called in and then went back to the show after the commercial break. At the next commercial break we got to take pictures with him and he signed a few things for us. Quite the memory! This was most definitely the highlight of our trip from SC to TX, and quite possibly my highlight-so-far in 2013. 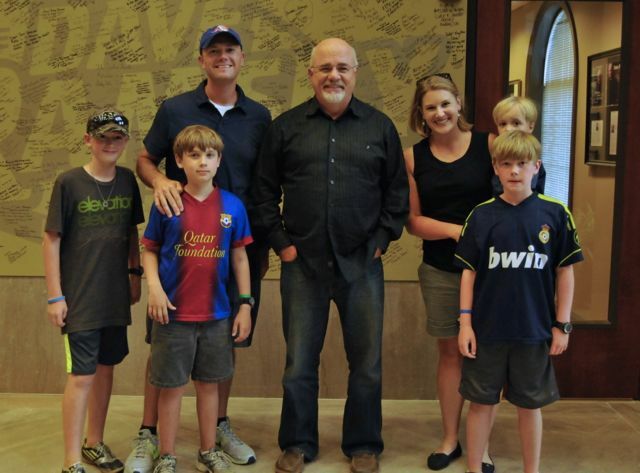 The Hamricks meet Dave Ramsey!! There was actually a stop in Tyler, Texas one night, between West Monroe and Killeen. There are two posts about that night, out of order. I have no idea why I didn’t catch that Killeen was our “fifth stop” as I was writing these. Had a little on my mind… Those two posts are Parker and some PCS Fun and I might have to eat some crow. I might have to eat some crow. 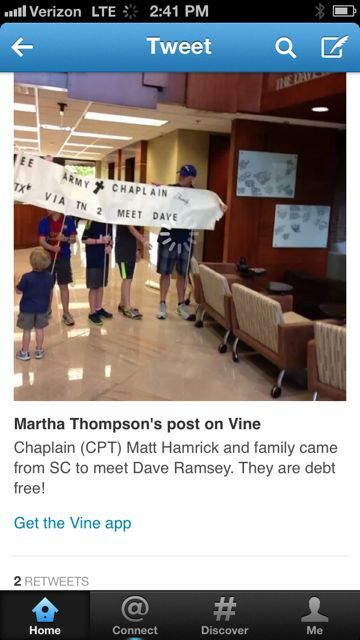 This entry was posted in Discussing debt, family and tagged dave ramsey, debt, debt talk, travel. Bookmark the permalink. Wonderful story. Thanks for sharing. Dave Ramsey is awesome. Wish he’d been around about 40 years ago. Hope all is well in Texas. Follow the baby steps just as they are laid out. They work if you do them in the right order. Keep me updated!